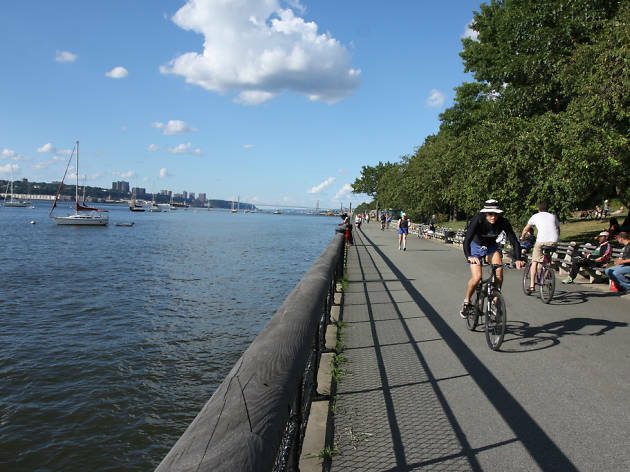 During his 2017 State of the State address, Governor Andrew Cuomo laid out an ambitious proposal to develop 350 miles of new biking paths and hiking trails that will connect New York City to both Canada and Buffalo through Albany. 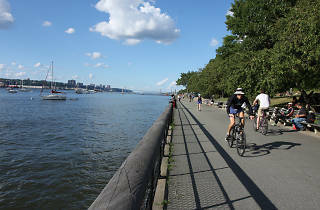 Dubbed the Empire State Trail, the whole project will stretch 750 miles and include roughly 400 miles of existing trails. It's scheduled to be completed by 2020, and state officials and developers are beginning to make moves to hit that deadline. Cuomo doubled down on his support for the trail in his proposed 2019 fiscal year budget, calling out a lack of environmental funding from Washington in the process. His proposal puts up $300 million for the state's Environmental Protection Fund—the most in its history—and also includes funding for a sprawling 407-acre state park on the coast of Jamaica Bay. And on Tuesday, February 13, the New York State Canal Corporation is hosting a public meeting in Little Falls, New York, to pitch its latest design for the construction of a key part of the path that will connect Albany to Buffalo. When it's completed, the Empire State Trail will be the longest path of its kind in the entire country, and it will give cycling and hiking nuts in New York a direct path to “the scenic natural beauty” that is “vital to our future and part of who we are as New Yorkers,” according to the governor. Is this breaking news? Not really. But here's hoping that this reminder prompts you to start saving up for a cyclocross bike so you can take a road trip adventure up to Montreal in two years' time.